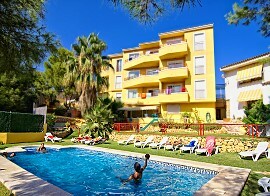 Welcome to the BenidormHolidayRental website. 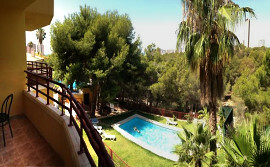 We rent holiday apartments in Benidorm on the Costa Blanca, and offer the best value for money. 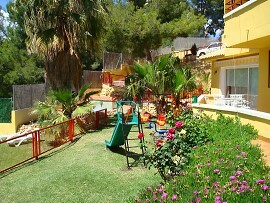 Our fully equipped holiday apartments are located in a small building erected in 2003. The holiday accommodation offer comfort at the highest level. Your holiday will be a pleasure: all our spacious 80mï¿½ apartments are air-conditioned and have large living rooms with satellite TV and free wireless internet access (WiFi). On the terrace of each apartment you can enjoy your meals in the Mediterranean sunshine. Direct contact with the owner, who lives nearby and is available to answer questions at any time. Also, if you should need assistance when away from your apartment, you can always rely on us. We are happy to pick you up on your arrival. Free of charge from the motorway exit or the bus station. We also offer transportation to and from the airport. Contact us: in English, Spanish, German, French and Catalan (Valencia). Donï¿½t worry, we communicate in many more languages!